PlayStation Network is adding two-factor authentication – a move that will no doubt cause players to both sigh in relief and groan "what took so long?". The news was confirmed to Polygon by a Sony representative after some users noticed the groundwork for the feature in the PS3's latest 4.80 firmware update. The representative said details would be provided soon, but didn't comment on exactly when two-factor authentication will arrive. Two-factor authentication – used by a majority of websites and online services that handle sensitive information such as credit cards, emails, or addresses – requires a user to set up a second means of logging in on top of the usual username/password combo. Typically, this 'second means' is a phone that is then texted a one-time code you use for that session. This adds an additional layer of security, since anyone trying to access your account would need both your online credentials and access to your physical phone. Any effort at all by Sony to ramp up the PSN's security is welcome in our book. The network has been a long-running joke thanks to its infamous 2011 hack, constant service outages, and multiple reported instances of general failure. While the update won't solve all our woes with Sony's online infrastructure, it's certainly a step in the right direction. Two-step authentication is simply the modern standard that users should expect from any self-respecting service handling their private information. 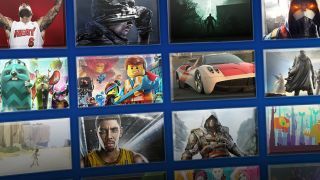 It's better late than never, obviously, but considering that Sony's main competition to PSN, Xbox Live, has had two-step authentication since 2013, and services like Steam and Blizzard's Battle.net have had the feature for years, perhaps this should've been done a little bit sooner than April 2016.